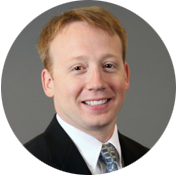 Dr. Michael J. Bradley is a board-certified ophthalmologist and a fellowship-trained cornea specialist. His surgical specialties include laser-assisted cataract and clear lens exchange procedures, laser refractive surgery, and the newest cutting-edge cornea transplant techniques. A native of Salt Lake City, Dr. Bradley received his undergraduate degrees in German and Biology at the University of Utah. He also completed his medical school at the University of Utah School of Medicine. Dr. Bradley’s ophthalmology training started with residency at the University of Rochester in upstate New York. He then completed a prestigious Cornea and External Disease Fellowship at UC Irvine in southern California where he performed cornea transplants, cataract surgeries, and other anterior eye surgery with some of the most respected cornea and cataract surgeons in the country. Dr. Bradley has an ongoing interest in providing patients the newest, most effective technologies: he was the second surgeon in the United States to perform the KAMRA corneal inlay procedure after FDA approval, and he was one of the first cornea surgeons to perform laser-assisted partial-thickness transplants (FLEDALK). Dr. Bradley and his wife, Melanie, are the parents of two sons. He speaks fluent Spanish, German, and a little Samoan.